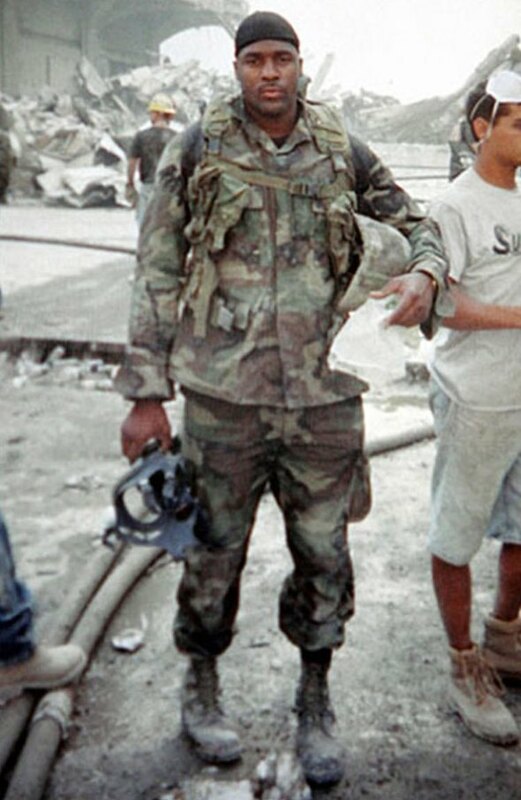 On September 11, 2001 Jason Thomas only thought of himself as a U.S. Marine called to serve. That meant he did not hand out a lot of business cards and he certainly did not negotiate any back-end deals. As a result, Thomas’s identity remained a mystery for years after he spear-headed the dramatic rescue of two Port Authority Police Officers trapped in the rubble with another former Marine. His long untold story gets the right treatment in Steve Humphries’ British-produced 9/11: the Lost Hero (promo here), which premieres this coming Tuesday on Discovery’s Destination America. Sgt. Thomas was no longer on active duty, but he still had his uniform in his trunk. When dropping his daughter at his mother’s house (as previously planned), Thomas heard the news of the terrorist attacks. Without hesitating, he donned his uniform and headed into the city, like a very human superhero. Through happenstance, there is some rather remarkable primary-source video of Thomas rushing towards the World Trade Center site. There is no question he was there. For hours, he helped first responders tend to the wounded, but he really wanted to search for survivors amid the wreckage. Eventually, he and former Staff Sgt. Dave Karnes did exactly that, ignoring all warnings to avoid the unstable debris. Tragically, there did not seem to be any survivors to rescue, only remains to secure, until they heard a faint cry for help. That was Will Jimeno buried deep beneath them, with fellow officer John McLoughlin trapped well below him. Talking at great length in Lost Hero, Jimeno unreservedly credits Thomas and Karnes for their survival. It was indeed quite the tense operation, chronicled by Humphries with step-by-step precision. Yet, for years Jimeno was unable to properly thank Thomas—though not from a lack of trying. Thomas might be the only man to draw breath that was ever able to get Oliver Stone to make an apology. In retrospect, it must be rather embarrassing for him to have cast a white actor to play Thomas in World Trade Center, which largely focused on their rescue efforts. However, the release of the film became the catalyst for Thomas finally receiving proper recognition. Although Humphries is rather circumspect addressing the issue, it is also pretty clear Thomas wrestled with post-traumatic stress during the years immediately following 9/11, until he finally started discussing his experiences with his family. Indeed, his story is helpful, instructive, and inspiring in a number of ways. The vivid, visceral recollections of Thomas and Jimeno really give viewers a tactile sense of their fateful encounter. There is also quite a satisfactorily uplifting conclusion to it all. Somehow, September 11th has gone back to being just another day for a lot of people, so Lost Hero is a necessary reminder of the enormity of the attack and the heroism of the response. 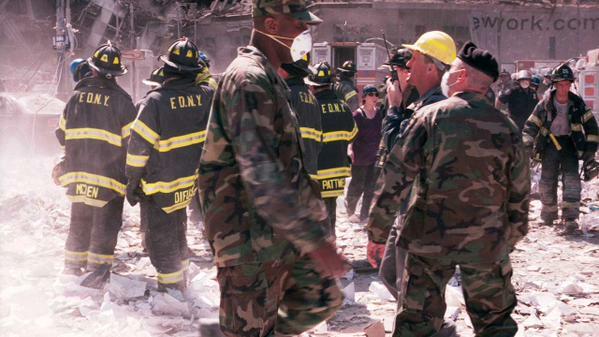 Highly recommended, 9/11: the Lost Hero airs this coming Tuesday (9/8) on Destination America.